Can be used when you need to change a wall-mounted screen to table top use. Takes up to 30Kg load. QTY Sorry, this item is out of stock. Please email or call us to check availablilty. 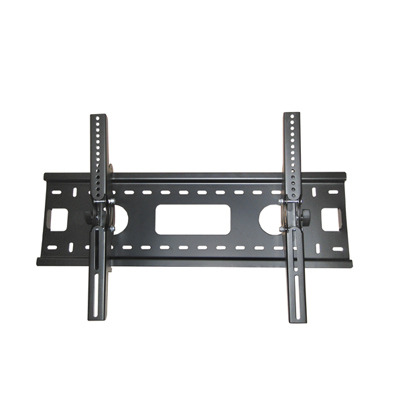 Universal TV pedestal stand, perfect for replacing lost or broken TV pedestals stands. Alternatively it can be used when you need to change a wall-mounted screen to table top use. This height adjustable stand also raises your TV to provide space under the TV screen for speakers, sound-bars, DVD Player's or satellite boxes. The base shelf is manufactured from 8mm black tempered safety glass. A universal LCD bracket with tilt and turn function recommended for Professional use. The bracket is VESA compatible (mounting points 75x75 mm & 100x100 mm). 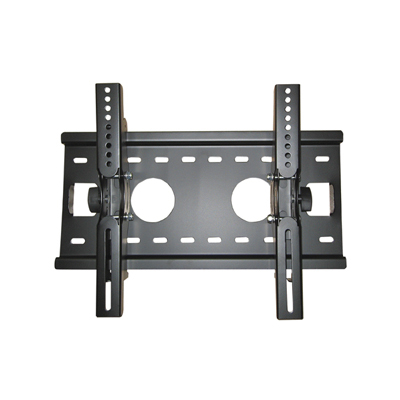 Wall bracket with 15 degree tilt for use with most flat screen TVs between 23" and 37". 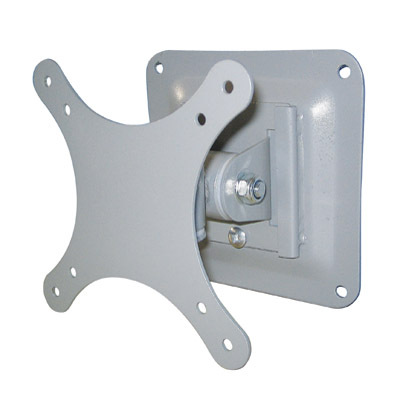 Constructed from high quality metal, this bracket fits securely to the wall. For professional use only. Maximum load 40 kg.